Here in Northern California, our spring comes early. By late February, Manzanita is in flower, and the almonds and wild plums are in full bloom. Everything that’s not concrete is green, greener than anything you can imagine. Ireland green. It is the Time of Salads. And no wild salad green is more important than miner’s lettuce, Claytonia perfoliata. I took a walk yesterday near Folsom, and within a mile I saw enough of the plant to feed a small town. It is everywhere, so much so that no one can see it. It’s become wallpaper, an anonymous part of the green world we’re enjoying these days. I watched scores of people pass one of the world’s great salad greens without so much as a second glance. I wonder if they just didn’t recognize the plant in its natural setting? After all, next to blackberries and wild fennel, miner’s lettuce is probably the most recognized wild edible in this part of the country. Even dazzling urbanites seem to know it, possibly recalling dim memories of summer camps gone by, or of a fancy Alice Waters salad they might have enjoyed at Chez Panisse back in 1989 or something. In gourmet circles, miner’s lettuce has become a commonplace, an afterthought. It is the iceberg lettuce of wild foods. Undeservedly so. 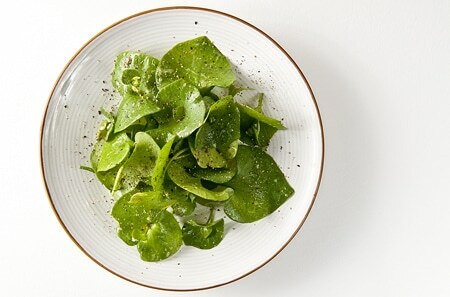 Miner’s lettuce is pleasingly crunchy, mild-tasting, has large leaves, remains tender even when in flower, and is so loaded with vitamins it will cure scurvy. The plant got its name because the Gold Rush miners ate it to stave off the disease, which is caused by a Vitamin C deficiency; they learned this trick from the local Indians, no doubt. According to a study in the Journal of the American Dietetic Association, 100 grams of miner’s lettuce — about the size of a decent salad — contains a third of your daily requirement of Vitamin C, 22 percent of the Vitamin A, and 10 percent of the iron. Combine this with stinging nettles and you have everything you need to revive your system from a winter’s worth of heavy meats, dried grains and roots. Many sources say this happened in 1749, but I have never found any reference to any original source of this date, which I think is a transposition of the real date the plant reached Europe. According to Hortus Kewensis, an 1811 catalog of everything growing in England’s famous Kew Gardens, the great Scots naturalist Archibald Menzies discovered miner’s lettuce on the West Coast of America in 1794, not 1749, and he brought seeds back to Kew, where it flourished. A little before won the Fog dispersd… we walkd along shore… In this walk I found growing in the Crevices of a small rock about midway between the two points a new Species of Claytonia [a small flowering herb] & as I met with it no where else in my journeys, it must be considerd as a rare plant in this country. I namd it Claytonia furcata & took a rough sketch of it which may be seen in my collections of Drawings. It is not exactly clear whether this is miner’s lettuce or not, but this is Menzies’ only mention of claytonia in the journals he kept on the voyage, and there are any number of accounts published before 1820 that mark this as the plant’s European provenance. 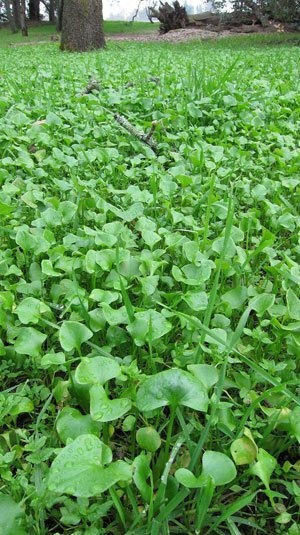 Miner’s lettuce was so important as a source of Vitamin C that the British planted it in Cuba and, later, in Australia. An early 19th century article I found notes that miner’s lettuce was already well-established in Cuba by 1811, and that it was “spontaneously growing” in the Botanical Gardens of Paris. By mid-century it was being sold by seedsmen as a salad green and potherb — and was rapidly becoming a weed in England. This is a rare thing. Nearly all our edible household weeds are of European origin: dandelion, plantain, most thistles, chickweed, purslane, mallow, cat’s ear, garlic mustard, shepherd’s purse. For our very own miner’s lettuce to be brought back to Europe, and for it to become a widespread edible weed, is almost unprecedented. What’s more, miner’s lettuce is one of the very few foods native to North America that we commonly eat. Think about it: How much of the food in your pantry is native to this place? Wild rice, turkey, cranberries, jerusalem artichokes for sure. Chiles and some squash and beans can qualify, but they are more Central American. Let’s face it, when it comes to the salad course, miner’s lettuce is the king of our indigenous cuisine. Why it hasn’t become part of our standard “salad mix” is beyond me. It’s ridiculously easy to grow, loves moist shade, and you can buy miner’s lettuce seeds pretty much anywhere. 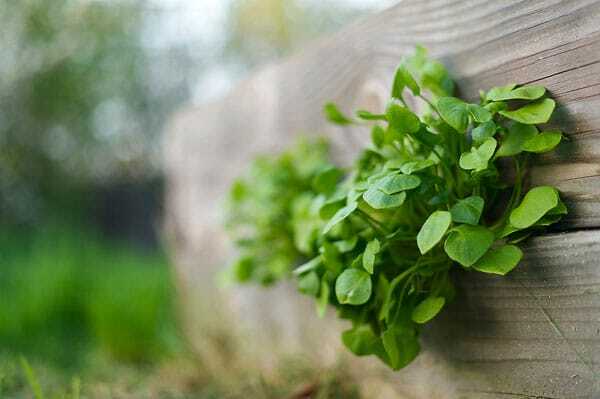 I am growing some this spring, and, like my wild arugula, will be happy to have this little plant colonize my yard. So far as eating miner’s lettuce is concerned, there is really no reason to stray beyond the salad. This is how most of us enjoy it today, and it’s how the Native Americans ate the plant — although I think I’ll skip the trick performed by a few tribes that lived around Auburn, California: They would apparently strew miner’s lettuce leaves along the highways of a particular kind of ant, which would then excrete something acidic (formic acid, maybe?) on the leaves, flavoring them like vinegar. Weird, eh? 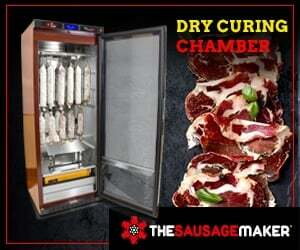 I think I’ll stick to vinaigrette. Normally I mix greens to create certain flavors and textures, but sometimes I prefer to eat miner’s lettuce solo. You really get to know a green when you do this, and you don’t want to dress such a salad too heavily; just a light coating is all. I made a light mustard vinaigrette for the dressing, and added some fresh ground black pepper and a little flake salt for texture and crunch. The effect is tart, smooth, a little crunchy, and very “green” tasting. Miner’s lettuce is also known as winter purslane (they’re both in the portulaca family) and if you have ever eaten regular summer purslane, you can appreciate the succulent texture of this plant. For those of you who live anywhere from British Columbia east to the Great Plains, you can find miner’s lettuce, and its various claytonia cousins, in shady, moist spots in spring. According to the USDA, miner’s lettuce has naturalized in a few places east of the Plains, notably Ohio, Georgia and New Hampshire. Pick from February to May, but you will need to find deeper, cooler, places the later you go. The best leaves grow under trees. Miner’s lettuce is perfectly fine when in flower — unlike most spring greens — but pick before the flower stalk gets too long. Once picked, miner’s lettuce leaves will last in a plastic bag in the fridge for 3-5 days without too much loss of quality. Keep a damp paper towel in the bag to keep everything nice and fresh. Wow who would have thought this beautiful bright green plant that spreads through my 10 acres could feed my whole town! Time to let the homeless in on this little secret. A lady came over yesterday, to drop off a turtle and asked if she could have some. She explained that when she lived in Germany, she used to buy it at the Farmers Market. I’m eating awesome now!! So I was reading about miners lettuce recipes and most of them have or use different flavors of vinaigrette dressing why ? I grow this lovely green in my hoop house in Nebraska, through the winter. WOW is it a happy little plant! It is coming up this year (after my growing it for the last two) volunteer . . . I hope I don’t regret planting it in there! It sure must have dropped a LOT of seeds last year. Meanwhile, I’m letting it get to a good size and then pulling it up and eating lots of miner’s lettuce salads, and selling bags of it to chefs in the city. Thanks for this informative post!